Fancy for a steak dinner? 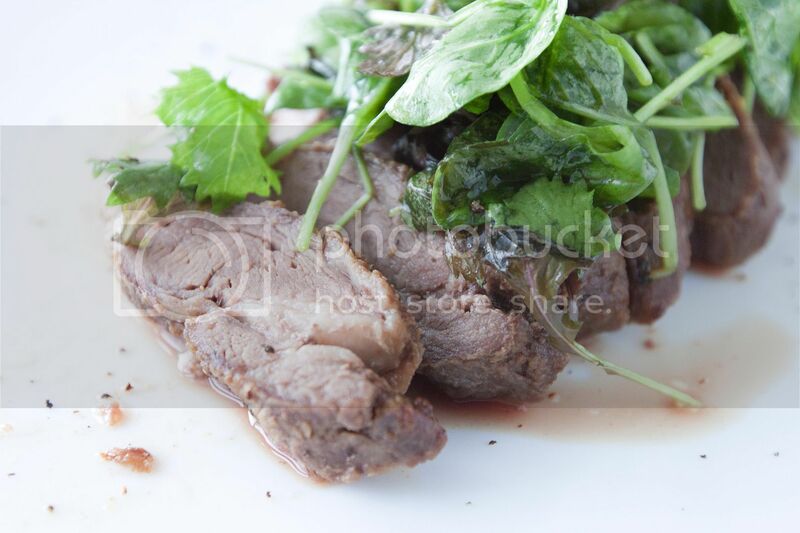 Since this recipe uses high quality Iberico loin end, just a touch of salt and pepper and let the pork speaks for itself. Some quick fix salad greens serve as a healthy side dish, but of course the greens are mainly there to justify my meaty guilty pleasure. 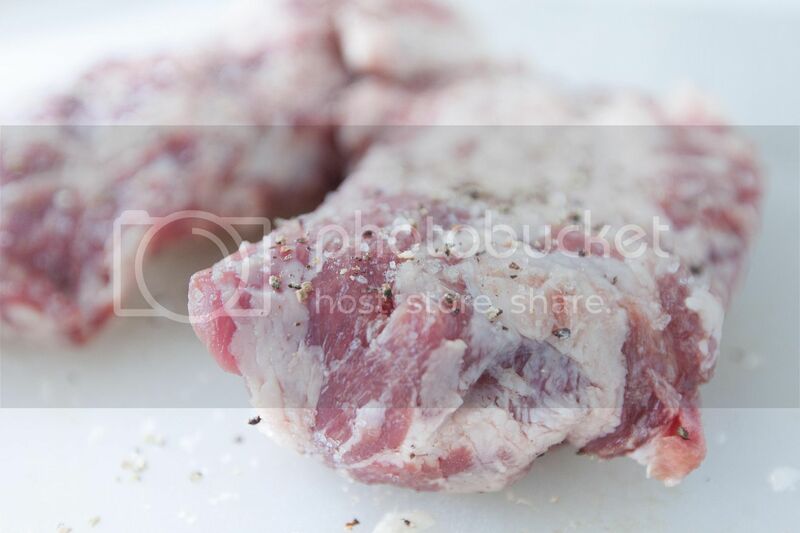 Rest the Iberico steaks in room temperature and season both sides with some salt and pepper. Drizzle just enough olive oil to thinly coat the bottom of the pan. Turn to medium high heat. Once the oil turns hot, transfer the Iberico pork over and sear till slightly crusty and browned on both sides. 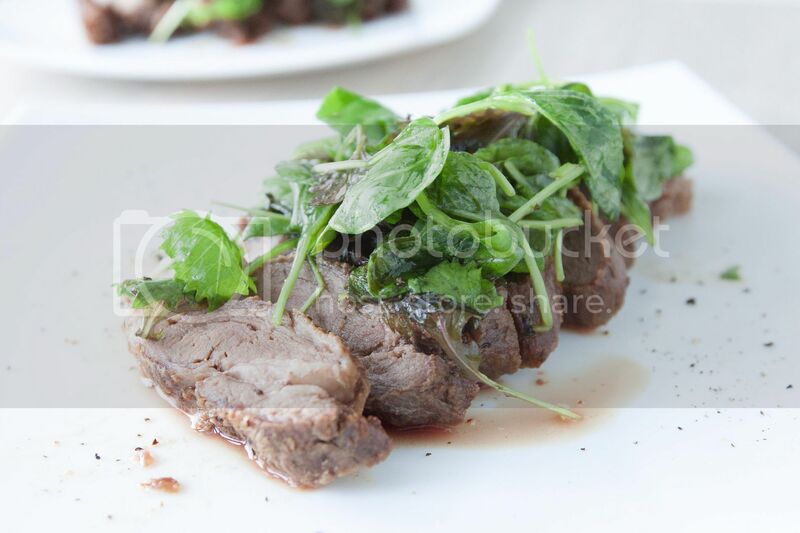 The actual cooking time differs depending on the thickness of the meat, but just treat it like regular steak, you can even transfer the whole thing to the oven to finish cooking. A little pink in the center is fine too for Iberico pork. 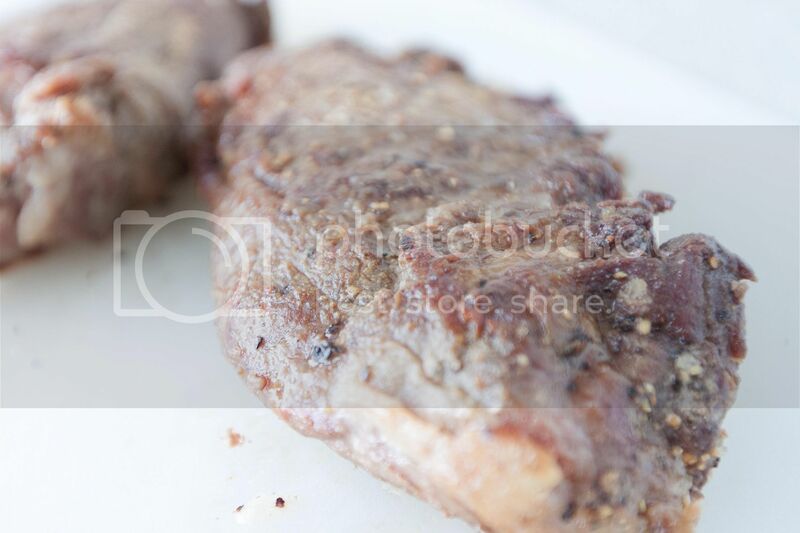 Once the steaks are ready, remove from heat and let them rest for 5 to 10 minutes. Prepare the salad while resting the meat. Mix all the dressing ingredients and adjust the flavor with salt and pepper. Toss with salad greens, it's that simple. 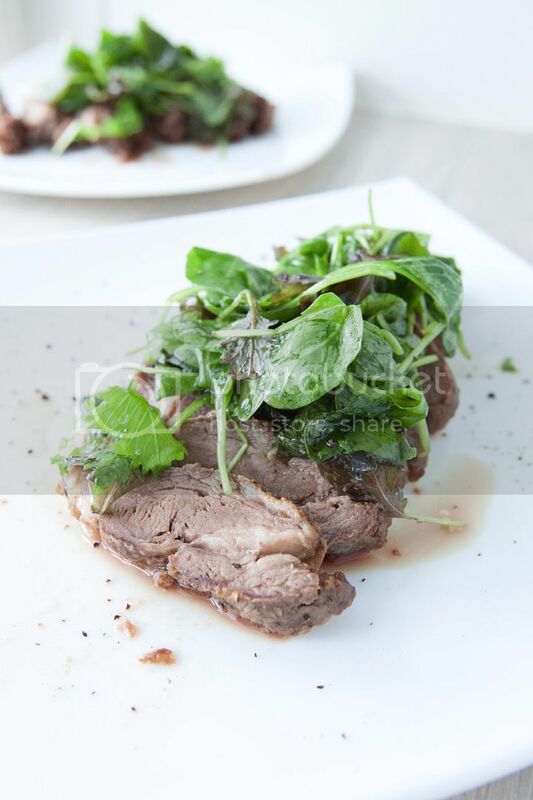 Plate the Iberico pork and top with salad greens. Sprinkle some more black pepper and serve immediately before the salad starts to wilt. No kidding, this part of Iberico pork really tastes like a beefy steak. Use something slightly sourish as a side dish to balance off the flavors. I didn't have time to make red onion pickles, otherwise it can be a wonderful addition. However, quick fix salad with balsamic dressing can always be a good alternative, just like this meat-loaded meal I just had.